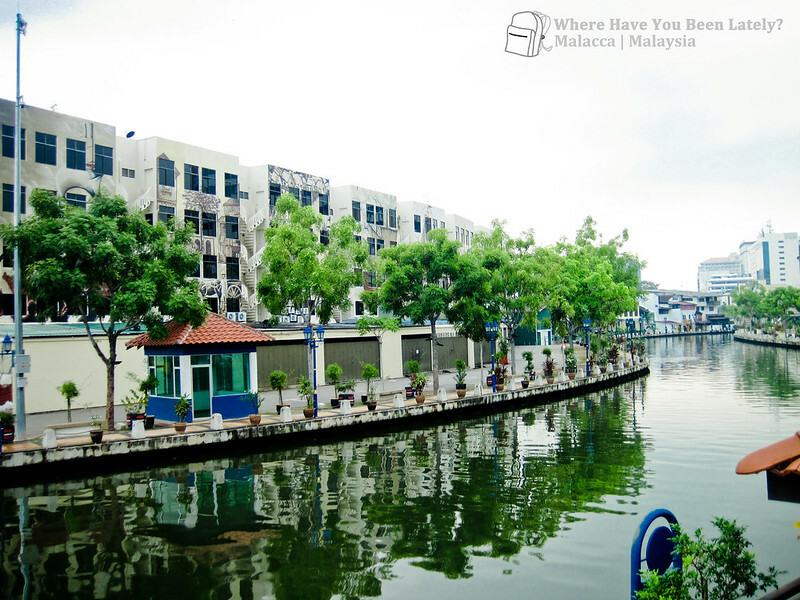 Malas ka, Malacca! | Where Have You Been Lately? 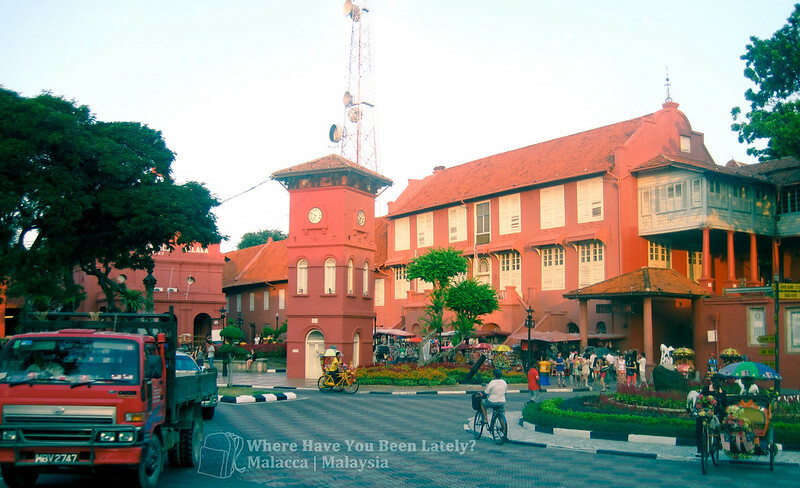 While looking for spots to visit in Malaysia that are not in Kuala Lumpur yet not so distant from the Low Cost Carrier Terminal (LCCT) of Kuala Lumpur International Airport (KLIA), I stumbled upon Malacca or Melaka in Malay in some of my friends’ blog posts. Since it is listed as one of the UNESCO World Heritage Sites and I am aiming to visit as many as I could, I was very eager to see and experience the third smallest state of the Malaysian Peninsula. Our quick two-day stay in the city was all fun despite the frequent rain showers. Rowjie and I spent our stay there roaming around the city on foot, hopping from one souvenir shop to another on a quest for that magic bong. Luckily we found what we were looking for and went home very happy. Or so we thought. 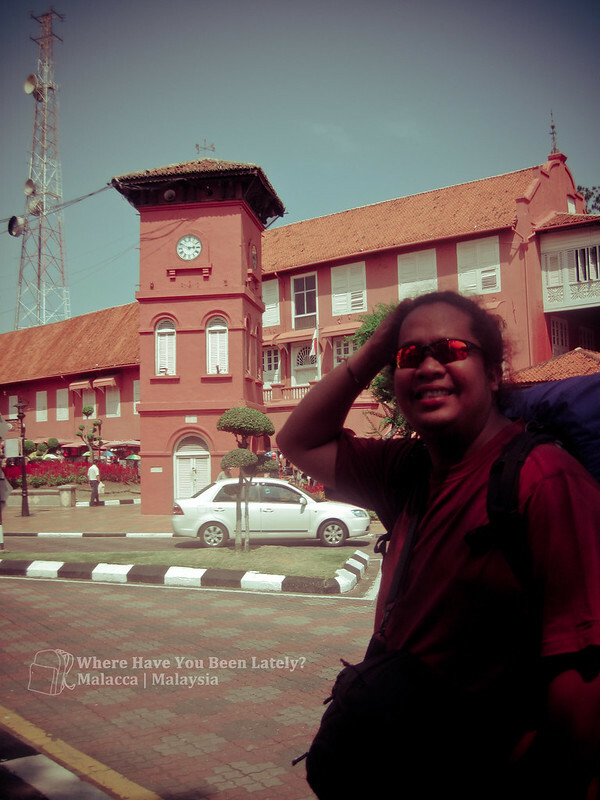 Aside from almost being locked up in Malaysia, our journey out of Melaka was one of the things I won’t forget about our short Southeast Asian trip last 2012. Why, you asked? We learned that experience is really expensive, literally. I made an intensive research on how to get to Melaka’s city proper from LCCT and found Marcos’ post as the most useful resource. But since it was written the other way round, we had to spiritually follow all the instructions from his post in an opposite manner. Actually, it was a no-brainer because the post brought us safely to our destination. From LCCT, we rode a bus called Transnasional bound for Melaka. It was a short two-hour travel (short compared to our 12-hour bus ride from Phnom Penh to Siem Reap) and the ride was comfortable. Upon arriving in Melaka Sentral where the terminal is located, we immediately booked tickets for our trip back to LCCT so that we wouldn’t have to worry about it the next day. We chose the 12:30 PM trip so we could get to LCCT by 4:00 PM, which was just in time for our airline check-in since we were flying at 6:30 PM to Manila. The ticket cost us 46.40 Malaysian Ringgit (MYR) which was roughly Php 685 that time (MYR 92.80 round-trip). 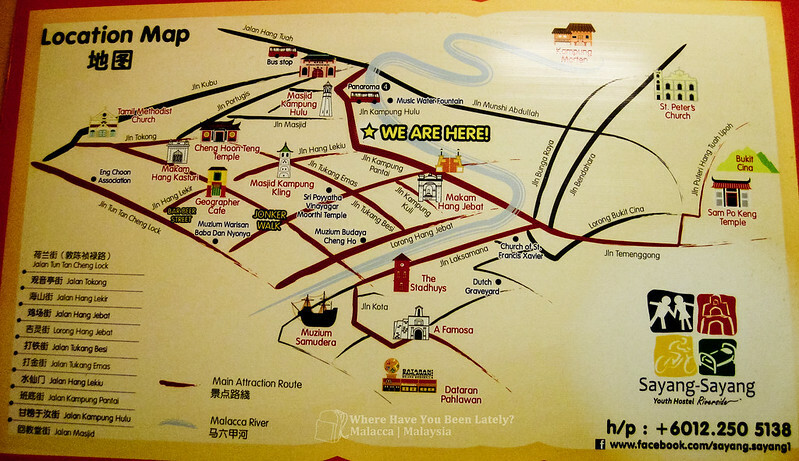 When going to the city proper of Malacca, this is where the buses are parked. From Melaka Sentral, we would have to travel again to get to the city proper. There were several taxi drivers urging us to ride their cabs for MYR 15. Being the shoestring travelers that we are (insert question mark here), we looked for the cheaper alternative which are the buses. 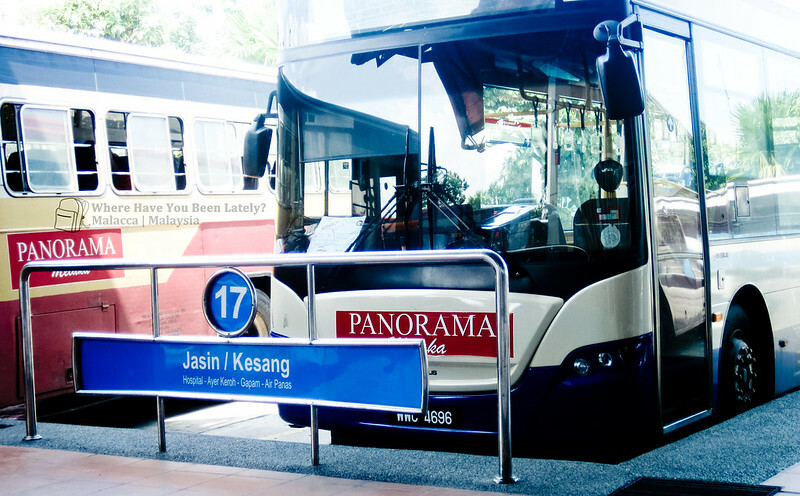 As mentioned in the blogpost, these buses called Panorama are found in the terminal’s Platforms #16 and #17. We paid MYR 1.00 and hopped on the bus. 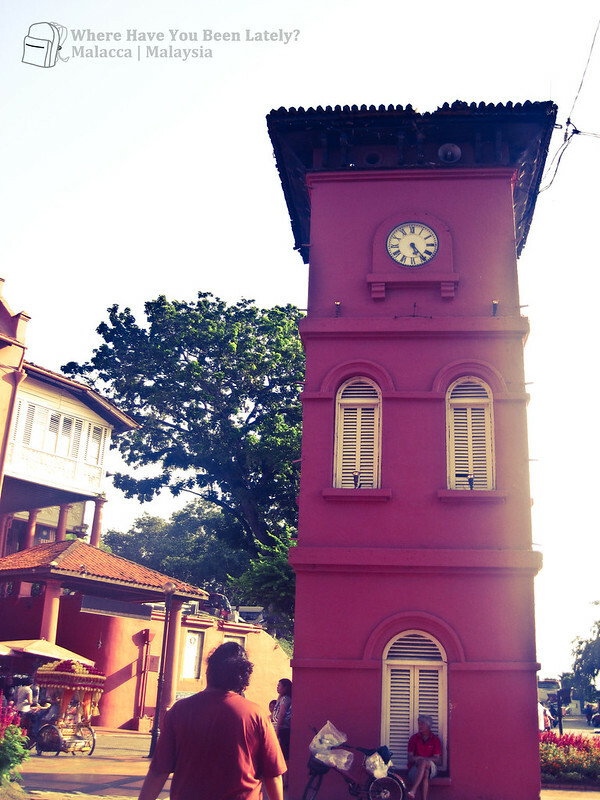 In less than 15 minutes, we reached the city’s landmark, the Tan Beng Swee Clocktower in Stadthuys or Red Square. This was also where we had to get off the bus. Our lodge Sayang-Sayang was just a few-minute walk from the clock tower. Why hello there. It’s so nice meeting you. Since the travel time from Melaka Sentral to the city proper took only 15 minutes, we decided that we would check out the lodge around 11:00 AM the next day so we could be back in Melaka Sentral before our 12:30 PM bus trip to LCCT. Anticipating traffic jam (though we didn’t experience it on our way to the city proper), we thought that an hour buffer time was more than enough. After checking out our hostel, we walked back to the clock tower where the buses load and unload passengers. When we got there, there were several tourists who were waiting for the bus as well. Occasionally, some cabs would stop by to offer their services to Melaka Sentral, this time, for MYR 12. Their offer versus the MYR 1 fare by bus could go a long way in LCCT (like a burger meal in Mc Donald’s) so we said no at all times. A few minutes passed and the Panorama bus arrived. Since Melaka was the last stop in our SEA trip, we both were excited to board that plane back to the Philippines. Yehey! We’re going home! First stop of the buses hence the 15-minute ride from Melaka Sentral. The bus left after all of the waiting passengers boarded. We now paid MYR 2.00 for the two of us. It’s cool, it’s just a Ringgit difference from yesterday’s. We were actually having fun during the first minutes of our ride because of the other interesting icons of the city that we were passing by. This river looks so much better at night. But our expected travel time of 15 minutes turned into 20, 25, 30. We’re now starting to worry. The roads we were traveling on didn’t seem familiar, they didn’t look like any of what we passed by on our way to the city proper. It seemed like the bus was going further and further away, picking up and dropping off more passengers. Our watches now show 11:45 AM and we still didn’t know where we were. We couldn’t get off the bus, we didn’t know where to go. Ten more minutes passed and we still couldn’t see any signs of Melaka Sentral. It’s 12:17 on my clock and we now realized that the bus roamed around the whole of Melaka when we saw the signs to Jonker Walk, which was a few blocks away from our hostel. So that’s why we paid double for the fare this time. I finally gave up the fight. We’re not going to make it. Okay, nilibot lang naman namin ang kabuuan ng Melaka. True enough, we arrived in Melaka Sentral twenty or more minutes after the bus we were supposed to be boarding left. Our MYR 46.40 just went down the drain. Now we had to buy another set of tickets. And if luck would have it, the next trip was scheduled to leave at 2:30 PM and may arrive in LCCT at 4:30 PM or later depending on the traffic. We should be checked in at 4:00 PM, we just couldn’t afford to miss our flight to the Philippines. We had to find other means of getting to LCCT the soonest time. Ending? The alternate fastest route was to go to Kuala Lumpur by bus (MYR 27) and ride taxi to LCCT (MYR 132). We had to ask the taxi driver several times on how much the fare would be because we only had MYR 140 left. 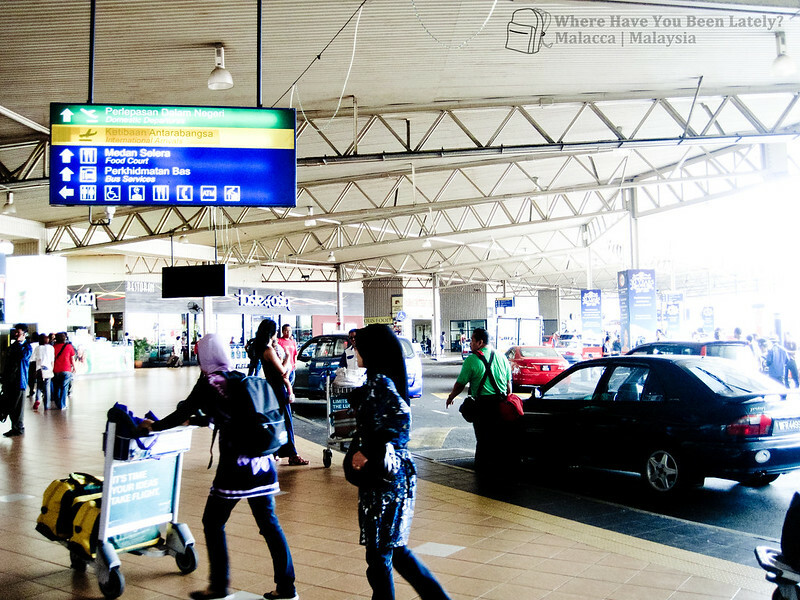 Thankfully, the taxi driver waived his MYR 5 tax and we only paid MYR 127 when we arrived in LCCT. That left us with just a few Ringgit enough for our Mc Donald’s burger meal. We checked in our baggages and felt sorry as we converted the money we regretfully lost because of our pagtitipid. It’s a whopping Php 3000 that time! Mas mahal pa sa ticket namin sa eroplano! The happiest moment of my life, seeing LCCT after one hell of a ride! Always allot two or more hours for buffer time. When you feel that something’s wrong, it probably is. Do not cease your research on how to go to a place. You must also know how to get out. Do not be so kuripot. Learn from your mistakes. We almost had the same fate during our visit October this year. Though this time, we allotted more than two hours for the travel time, we still barely missed our scheduled trip from Melaka Sentral to KLIA2 by 5 minutes. 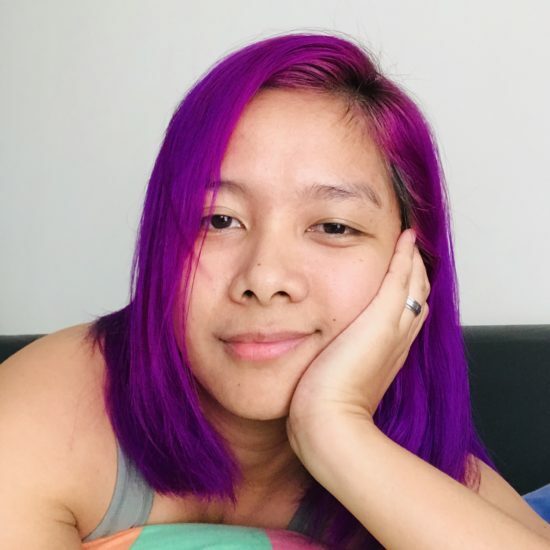 Mapapakamot ulo ka na lang talaga.